GOG.com - Sacred Gold - Unterstützte Software - PlayOnLinux - Run your Windows applications on Linux easily! 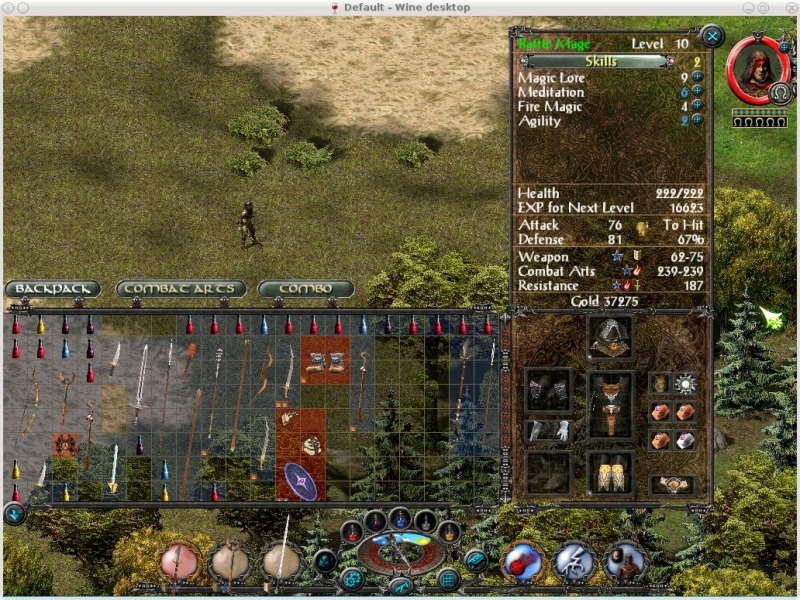 English: Hack'n'slash RPG, includes Sacred Plus and Sacred Underworld extensions. 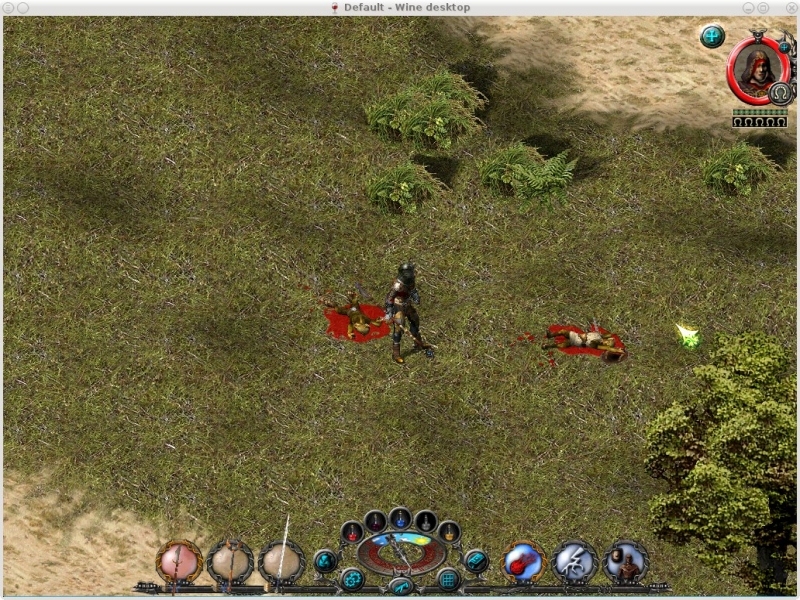 Français : Jeu de rôles "hack and slash", contient les extensions Sacred Plus et Sacred Underworld. POL_SetupWindow_presentation "$TITLE" "ASCARON Entertainment / Strategy First" "http://www.gog.com/gamecard/$GOGID" "Pierre Etchemaite" "$PREFIX"
POL_Shortcut "Sacred.exe" "$SHORTCUT_NAME" "$SHORTCUT_NAME.png" "" "Game;RolePlaying;"
After the fresh installation, by clicking "Extras", both "Intro" and "Underworld Intro" do not work. I only get the black screen, and it would go back to the same window. HOW do I tell POL (or linux) to port forward 2005 and 2006 to gameserver.exe, do I need to tell linux that POL is allowed to open port 2005 and 2006 for listening??? Personally I never test multiplayer, most testers on the AppDB don't either. Hi. Single player works perfect, but i struggle running multiplayer. I tried several scenarios. Firstly, i hosted the game with "gameserver.exe" (adding this exe to playonlinux). I couldnt see my own game regardless the ip I used to host. I tried both, my local ip, and hamachi ip. Afterwards, I tried to host from the game. Game doesnt start, everything I get is a message: "Gameserver: ready!". I though, okay, i can't host, so I asked my friend to do it. As you probably guessed, we use hamachi. He created server from the game and i could see it in the lan-lobby! But if I try to connect, everything I get is a message:"Establishing connection". I am curious, if there are any tricks or works around? I am in possession of the original DVD Sacred Gold (Italian version), I have not encountered any problems during the installation and only two graphical glitches in my first seven hours of play. The only flaw is that clicking on the "Exit" from the game I do not go out, I do not know if it's my fault or do not understand something. Please, I downloaded GOG release, I installed play on mac, after a bunch of installation procedures I wanted to run the game, but the screen got all black. I can hear the noise of the title menu, but can't see anything. Can you help?